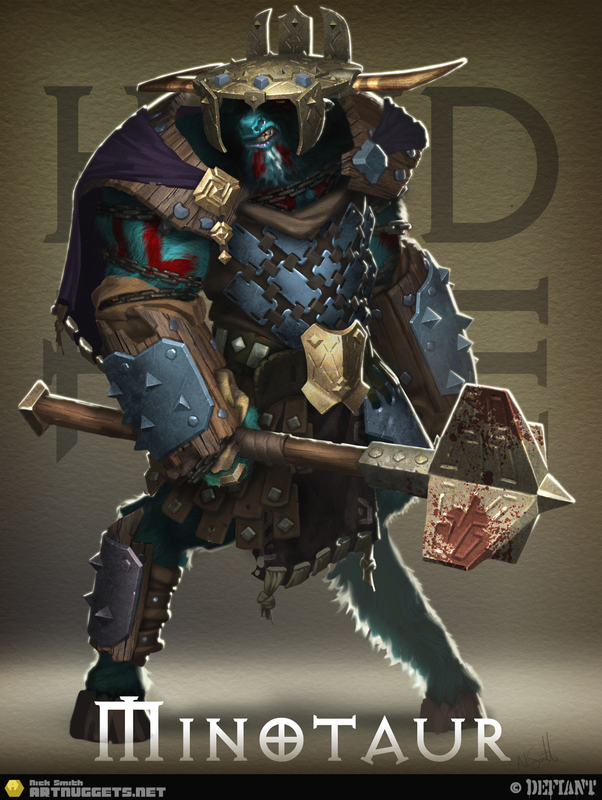 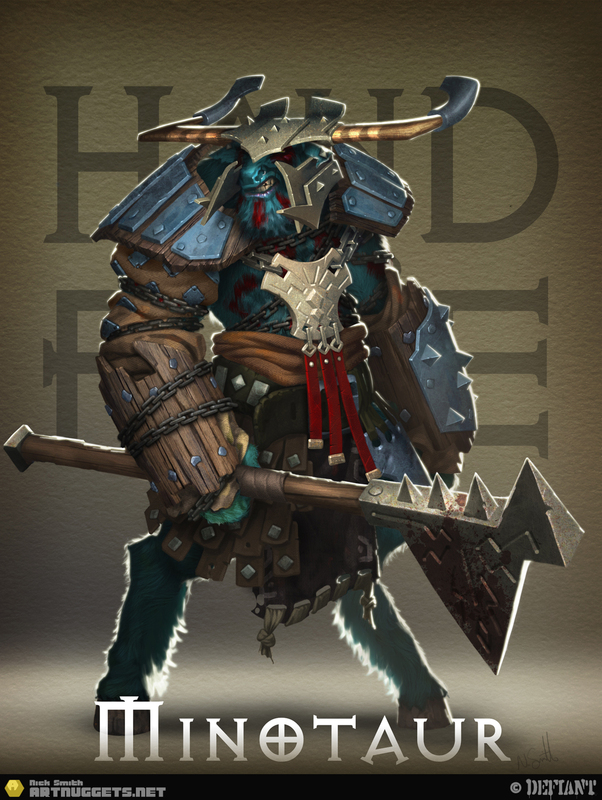 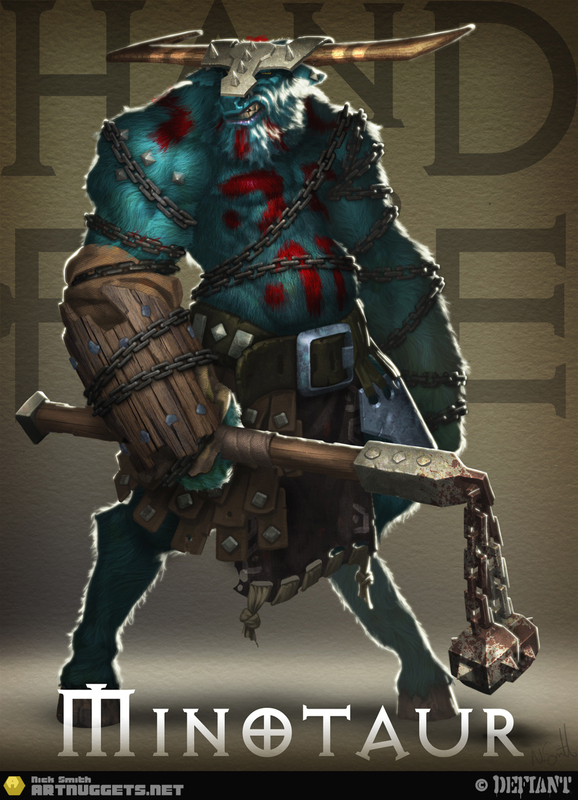 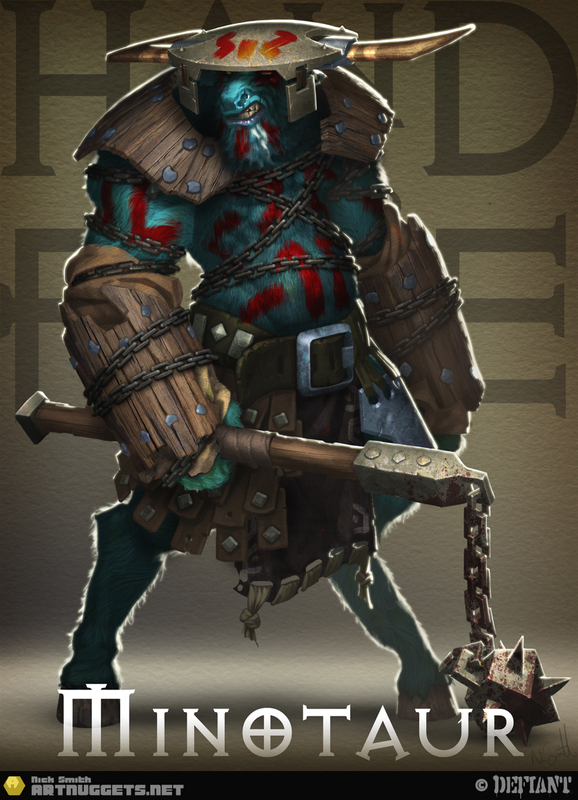 As I stated in my earlier post, I am working on Hand of Fate by Defiant Development, the makers of Heroes Call. 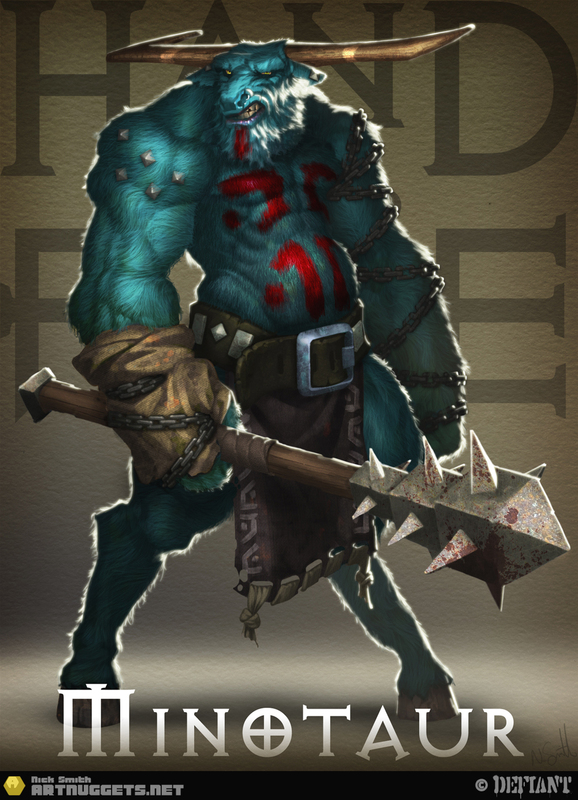 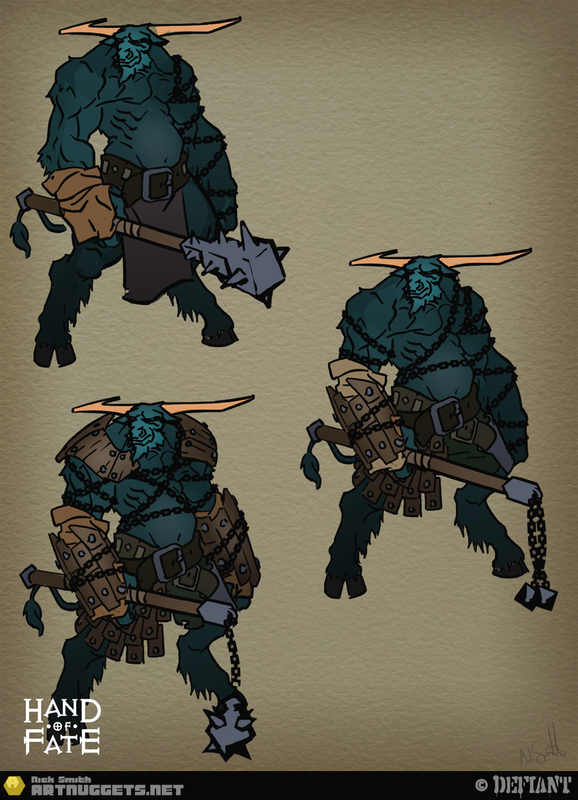 Here is my work on the Minotaur faction. 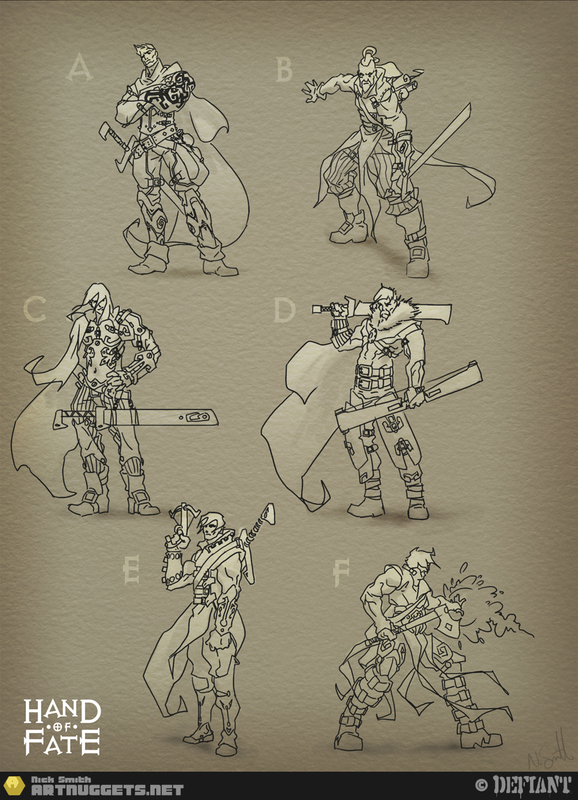 Starting off with some exploration sketches, we narrowed the field down to the two best. 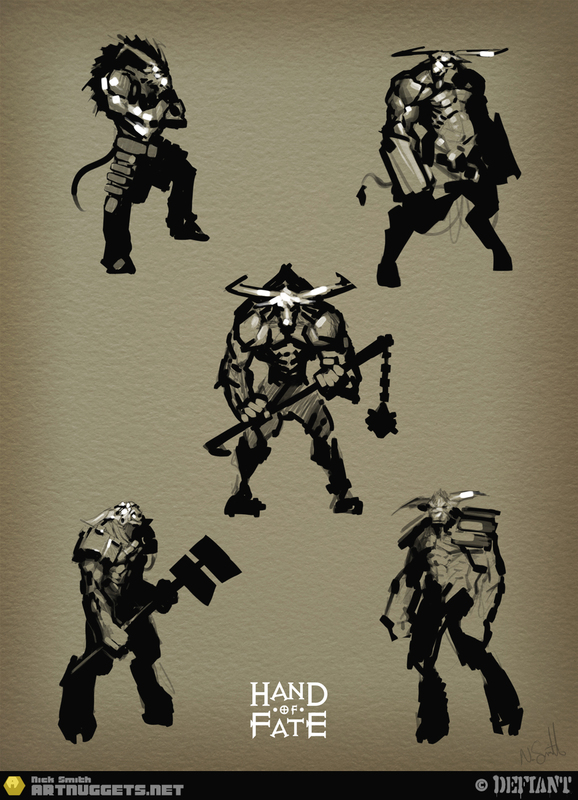 From there I did a few designs on each, before settling on the bulky fella. 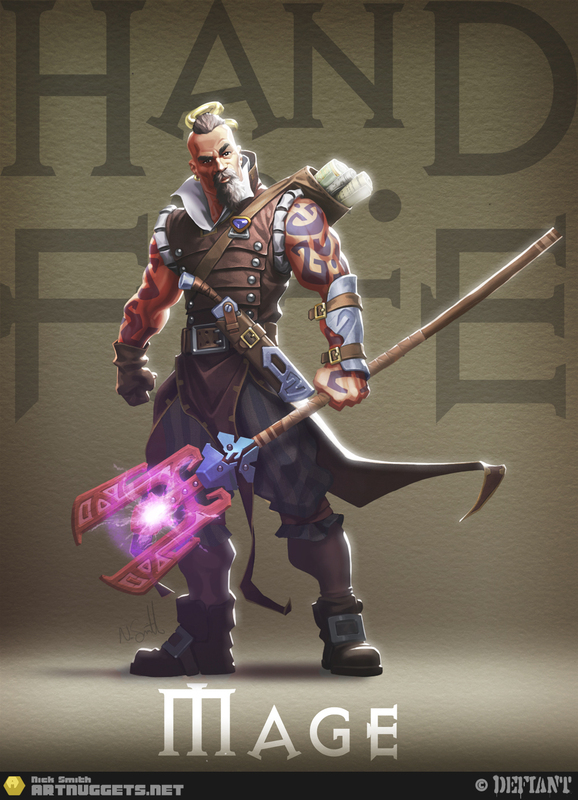 I then created a light, medium & heavy version. 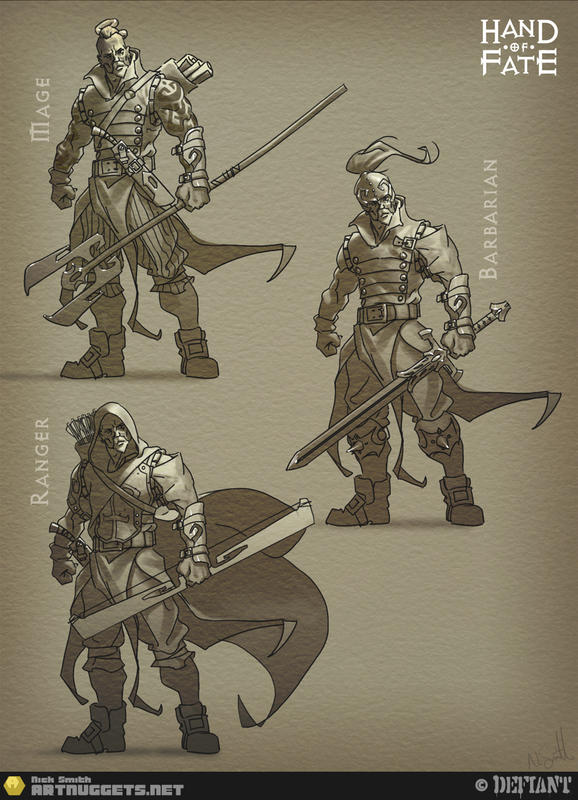 It was then decided that two higher classes were needed, the King and the Ace, which gave me opportunity to really embellish the designs further. 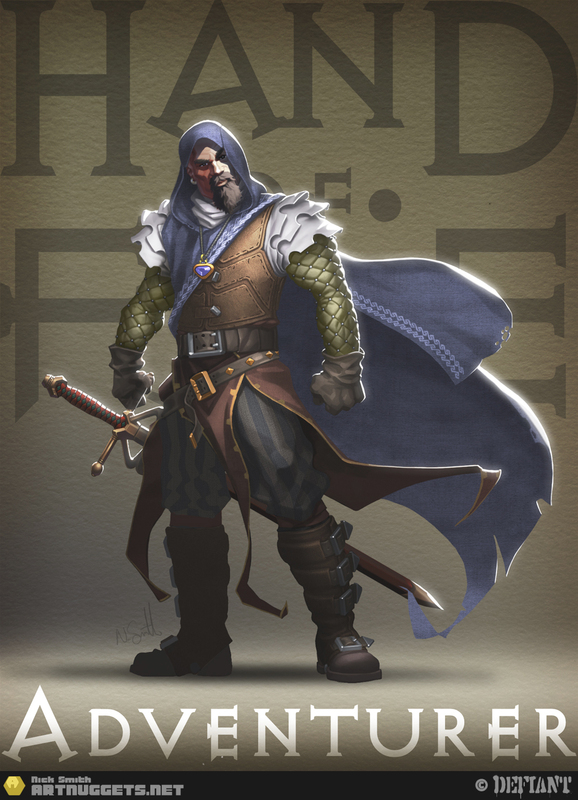 For the last few months I have been working at Defiant Development on their downloadable adventure game Hand of Fate. 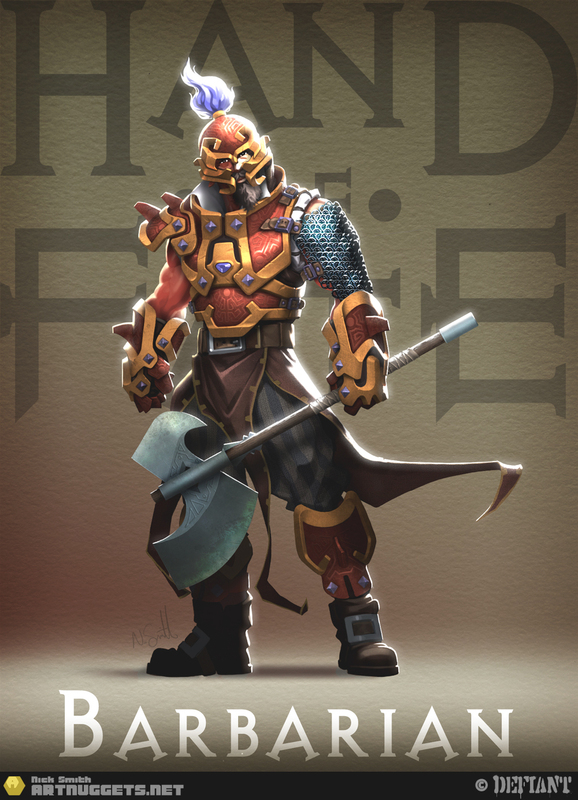 I’ve had the pleasure of working on the character designs and have really enjoyed it. 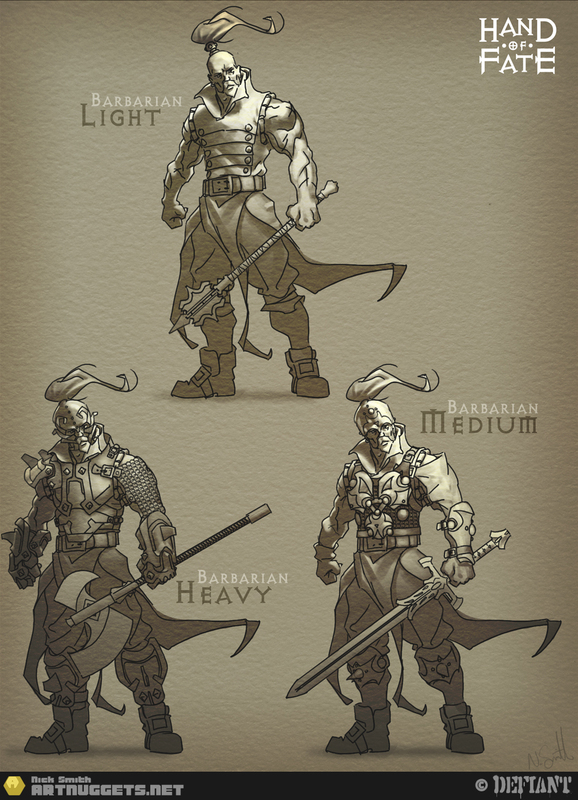 We started on the player character with the idea that you could choose to be one of three classes, with each class having a light, medium and heavy version. 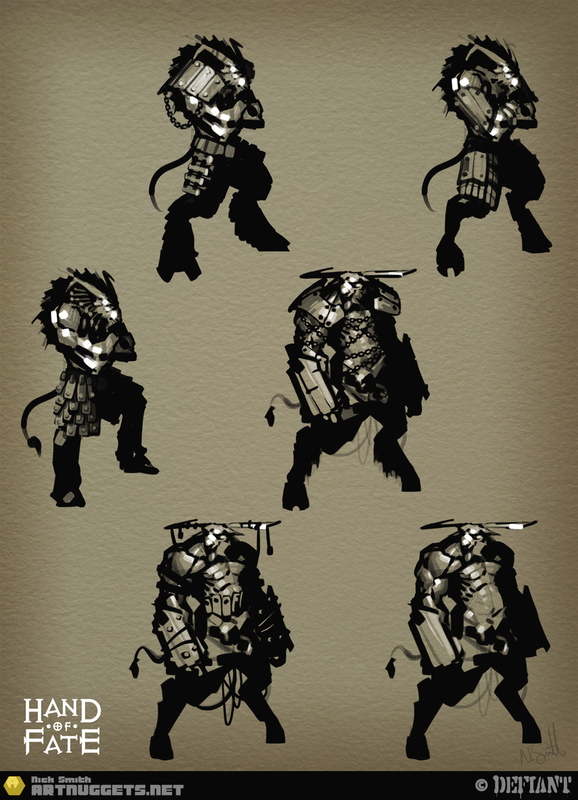 Later I will be posting concepts for the various races featured in the game.